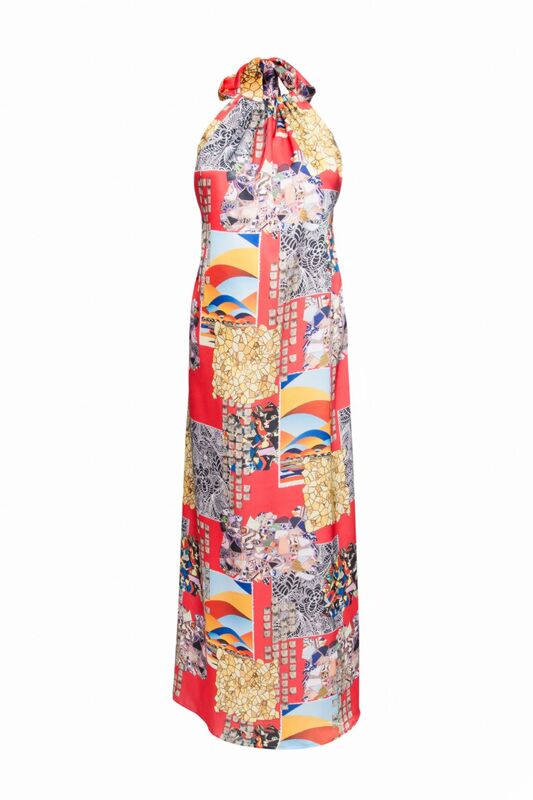 Maxi dress Lullah is the perfect dress to take you from day to night. Adjustable halter neck design, tie's at the back neck. First image is colour of dress ,other images are to show shape and style. Red/Multi print design in silk touch satin . Great for wearing by the pool , at the beach or holiday evening out. Style it your way!